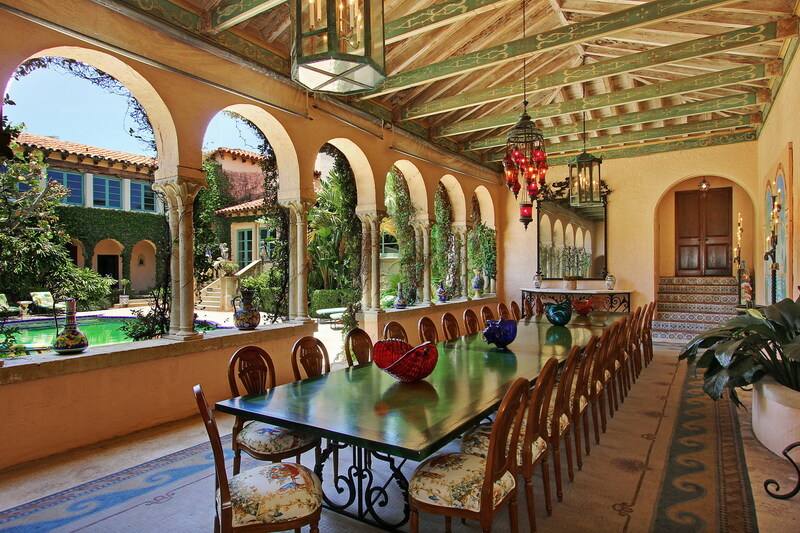 Relaxed luxury alfresco: A breathtakingly dreamy loggia in an amalgam of Mediterranean and Moroccan styles with enough seating for the ultimate open-air feast at a private estate in the glitzy island enclave of Palm Beach, Fla. Photo courtesy of VHT. This entry was posted in Outdoor Decor, Patios, Uncategorized and tagged courtyard, garden, loggia, Mediterranean, Moroccan, Morocco, outdoor room, outdoors, patio, pergola. Bookmark the permalink.